In my experience with hair, the best and most useful lessons come from creative experimentation. For any artist, this means carving out time and space in life to play with your medium, push the boundaries, try something you have always wanted to, get into the process without being too worried about the end results. This is what leads to creative breakthrough which is ultimately the most exciting and inspiring place to reach as an artist. In the salon, this sort of inspiration is essential to doing great work and loving every minute of it, and it is also essential to building our businesses. Our clients want us to be excited and inspired to do their hair, because it shows in what we create in collaboration with each clients hair. Our clients experience a shift in their lives that is directly related to the work we do with them, and they become both a billboard for our unique craft and an expression of themselves, and a walking testament to the power of great hair to inspire a fresh perspective. 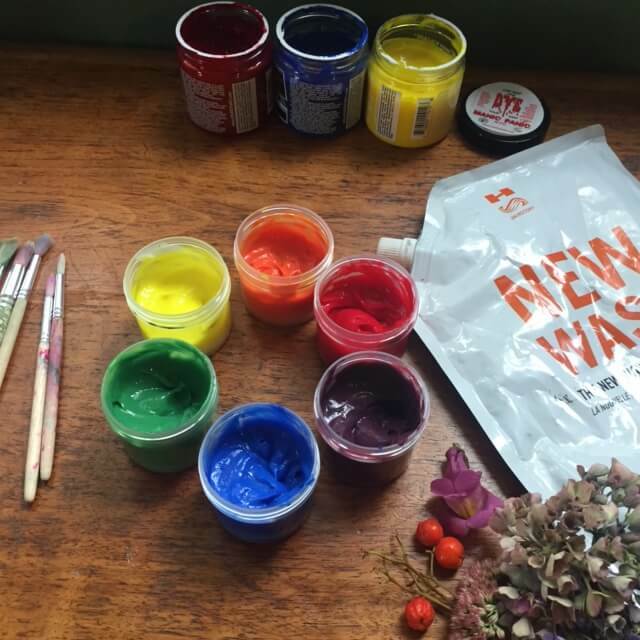 With that said, I have been brewing up a new workshop which is meant to inspire creative experimentation with color, celebrating haircolor with intention and nuance and a deep look into the theory and magic of color formulation using direct pigment primary colors. 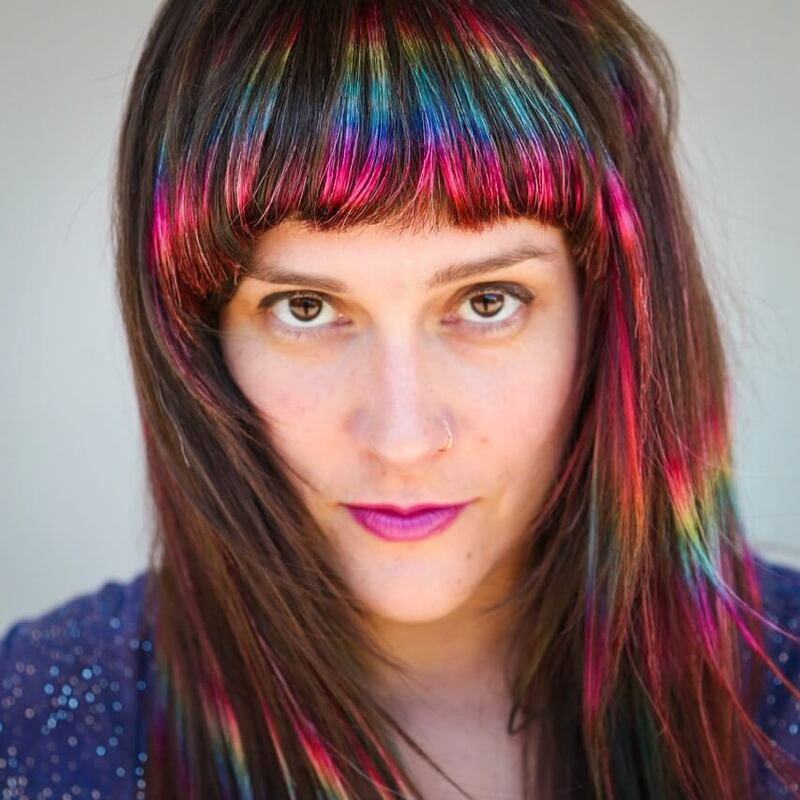 In collaboration with haircolorist Roxie Darling of Hairstory Studio, Edo Salon in San Francisco, Free Your Hair Education and Manic Panic Color, we are excited to announce a workshop in the SF Bay, coming in November. 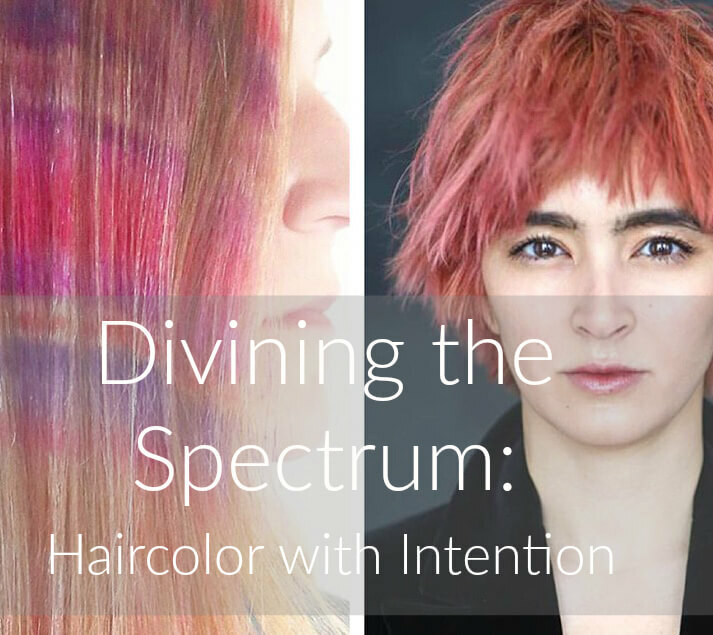 Dive into creative color with Roxie Jane Hunt and Roxie Darling! We will be playing with the primary colors, pastels, muting and everything in between. This class is both demo and hands-on, we will be working on models and on wefts, mixing color and painting prismatic, inspired colors. 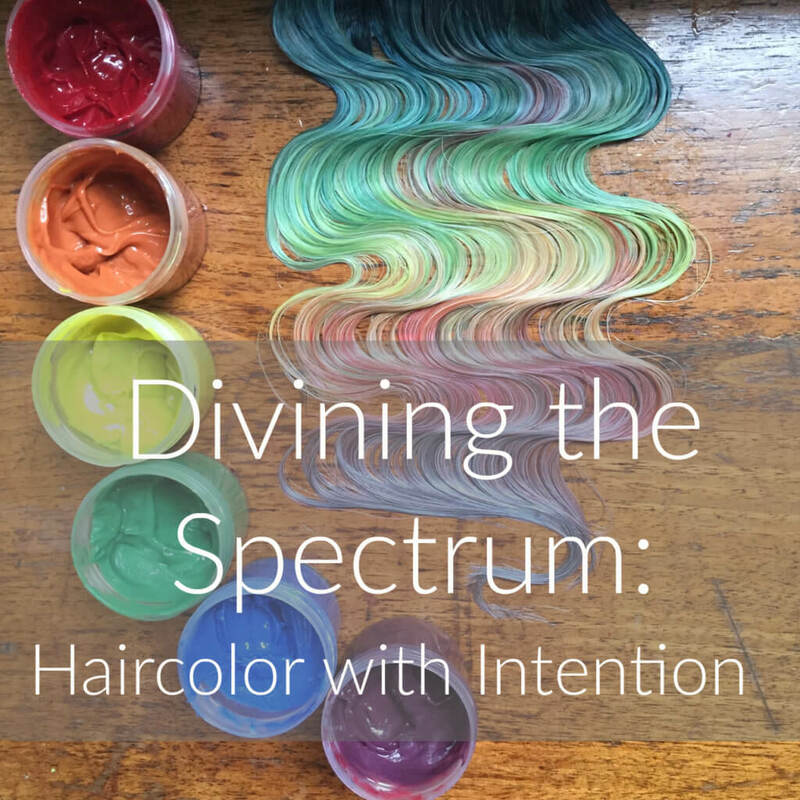 With this workshop, learn to color hair confidently with a blend of intuition, color theory knowledge and creativity and embrace full spectrum color application. -Working with primary colors to blend custom shades. Learning the how’s and why’s of formulating color to achieve specific shades that communicate a message, and exploring the balance of saturation vs muting and how they tie into the emotional lives of our clients. -Discussing the meaning of color on the psychological, spiritual and astrological planes. -Toning with Intention: Learning about placement and simple skin tone evaluation, understanding the spectrum and how it effects different skin shades in different ways and learning how to make the CORRECT color balancing decision. -Learning about Dust and Smoke: Taking your formulation to the next level of nuanced color. 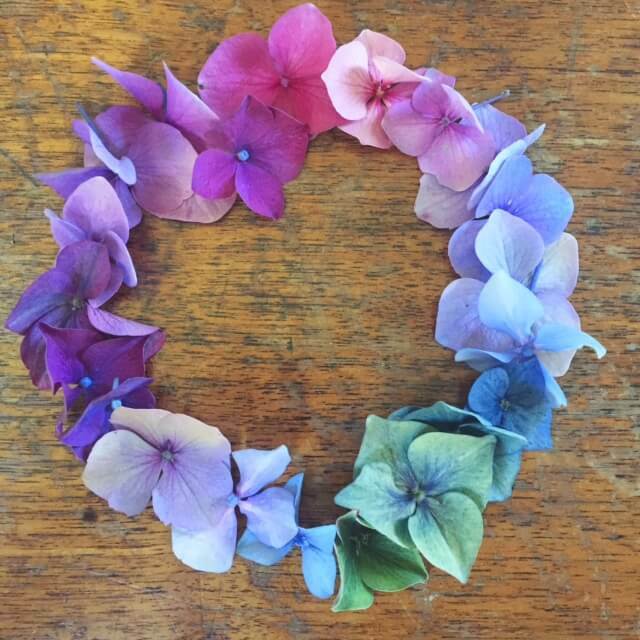 -Learning about creating a practice or meditation with color that helps develop keener color sense and creative inspiration in our daily lives. Bring: Yourselves, a journal, an open mind and a grounded body. We will provide practice hair wefts, primary colors from Manic Panic, Hairstory New Wash for diluting color, brushes, and a rainbow of inspiration. Dirty hair is hot and other ShamPHree journeys to follow.